We are proud to announce our first ever Webinar next week, with Founder & CEO Brett Napoli. Brett is presenting “Essential Tips for an Engaging Blog and for Generating Leads from Your Website” at SCORE Mentors’ “Power Up Your Small Biz” Half Day Virtual Conference. 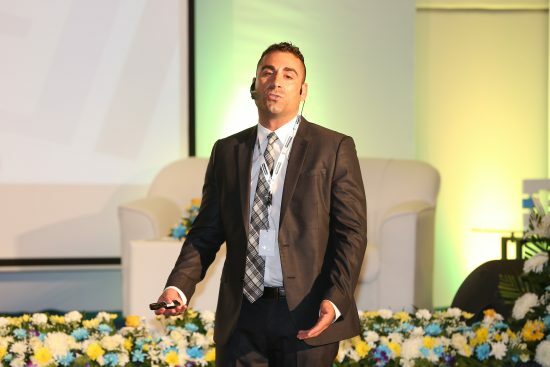 “I’m honored to be presenting along with speakers from esteemed companies like Constant Contact, Kabbage and DreamHost. I’m even more impressed and honored to be invited to speak by the great people at Verisign, who are sponsoring the free event. Verisign is the global leader in domain names, owning the .com and .net domain name extensions and processing over 130 billion transactions over the web each day. SCORE is a nonprofit organization that has offered free business mentoring to Entrepreneurs in the United States for over 50 years. They have served more than 8.5 million clients and currently have over 370 chapters and 11,200 volunteers. Brett’s presentation on 10/27 starts at 12:15pm EST and you can attend online for FREE. Simply sign up at this link and watch the presentation live from anywhere in the world. 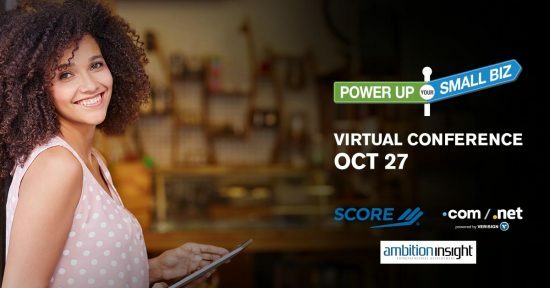 SCORE and Verisign have partnered to offer the Power Up Your Small Biz: Technology Trends Virtual Conference. This event is a half day of learning with 6 informative webinars on how you can leverage technology to meet your goals. You’ll hear from a number of industry experts, including ComplyRight, DreamHost, Kabbage, Verisign and more, as they share their insider tips for simplifying your efforts, securing your data and growing your business. Join us in this online event that has the look, feel and benefits of a local, in-person conference or trade show. Participants can visit virtual booths to collect materials, meet sponsors, ask questions and even pick up some virtual swag. You can attend our educational sessions, exchange ideas with other business owners in the networking lounge, and download conference materials in your virtual briefcase. This event will happen live for all participants, and the virtual environment is archived for future access.